Angel likens himself to a lion because he is strong, he loves the colour red and his favourite food is beans. His hidden talent is his ability to learn fast and he enjoys music by Evanescence. 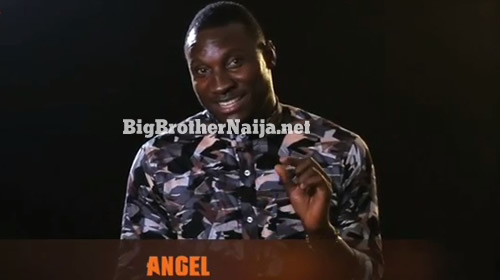 Angel is a music lover who often gets mistaken for a famous Nigerian personality. He enjoys martial arts, swimming, playing the guitar and video games. Working with an American rapper is a highlight of Angel’s career. One of ten children, Angel lost his mum a year ago and his family is strongly rallied behind him. Angel describes himself as passionate, and keeping his fiery and emotional nature under wraps may be a challenge in the House. What irritates you the most about other people: People trying to enforce their opinion as law. Everyone should be entitled to their own opinion. 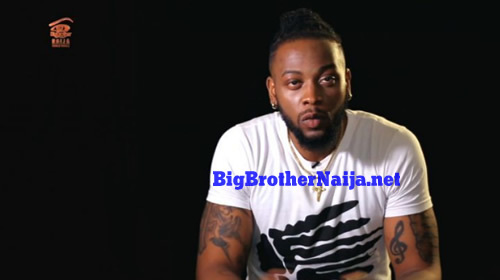 What will you be bringing into the Big Brother Naija House: I’ll be the voice of reason. I’m a very logical person. What will you do with the prize money: I have 3 films I want to make. I’ll buy equipment for my studio.